7 Wonderful Wedding Functions That Will Be The Best Memories For Your Wedding | Wedding Tips ARE YOU A VENDOR? 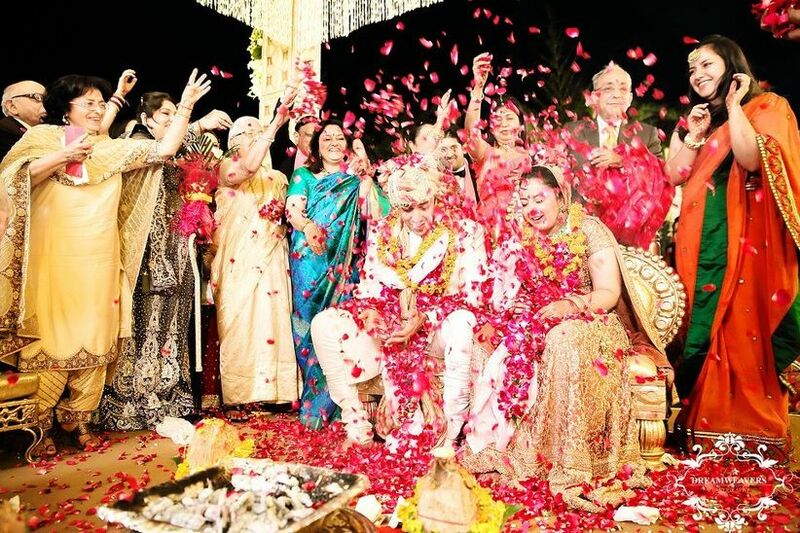 Traditional Indian weddings are holy and happy celebrations which are fun and fascinating. All that colour, glitz, music, food and different wedding functions make them the memorable and enjoyable functions that they are. To an outsider, these functions may seem mindboggling. However, they have a purpose and a deeper meaning. If it's your wedding or that of any of your loved ones, then learning about them will add that colour and value to your experience. 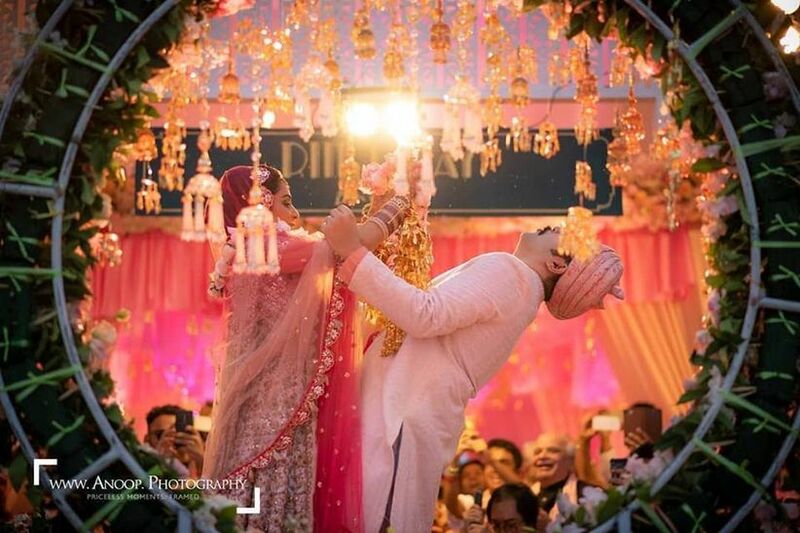 Here, we add that flavour by looking at the meanings behind the most common wedding functions in India, with room for regional and religious variations. 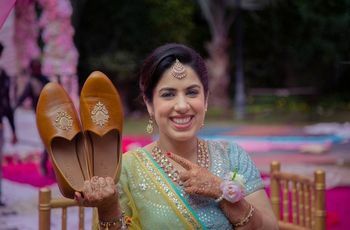 The Mehndi ceremony, celebrated in so many Mehndi songs in Bollywood, is one of the most well known and loved pre-wedding ceremonies of the country! Traditionally part of the Solah Shringhaar (the 16 adornments for a married woman), Mehndi is also a near permanent fixture in Sikh weddings and are quite popular with would be brides from other religions too. 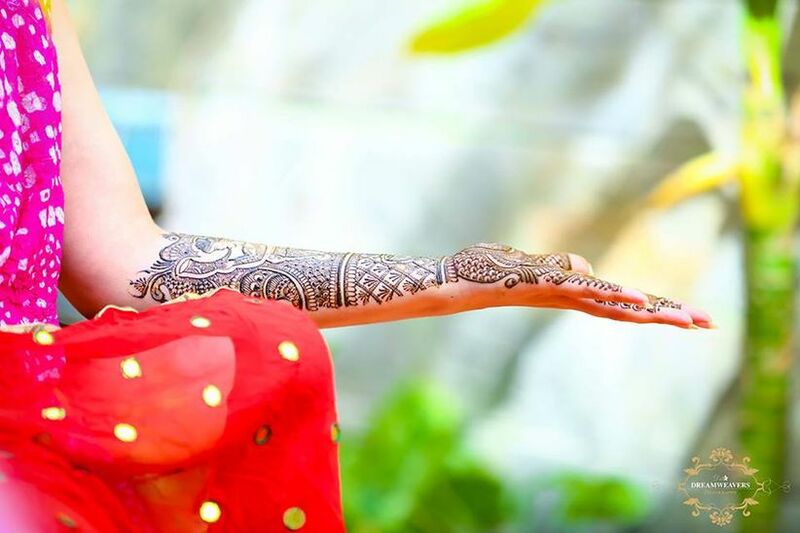 Who can resist adorning their hands with gorgeous, often stunningly detailed bridal henna designs, after all? Regional variations for Mehndi include common Rajasthani Mehndi, Arabic Mehndi designs which can adorn both hands and feet. Modern interpretations include personalised mehndi, minimal mehndi and even reverse Mehndi designs. Specific designs for fingers, palms and feet and arms are also in high demand. In some parts of Rajasthan, even the grooms wear Mehndi designs on their hands as part of the wedding process. Unsurprisingly, groom mehndi has become a new trend as we all know even men want to look their best for their marriage! Mehndi functions are marked by a lot of hustle-bustle, gossip and gaiety on the sidelines of getting gorgeous Mehndi designs. People spend a lot of time on not only getting the right designs but also Mehndi games, Mehndi decoration, floral jewellery and dresses for the beautiful day. More than one Mehndi artist may be required, depending upon the number of guests and the time left for the wedding day. The designs almost always include the groom’s name, either evident or carefully hidden within the pattern. The groom, depending on the custom or the bride’s mood, is often left identifying his name on his first wedding night. The final colour, tone and longevity of the bride’s Mehndi design are all seen as markers for the couple’s love and future bliss. 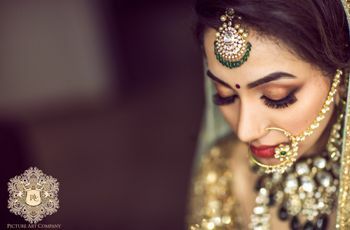 If the sole purpose of the Haldi function was to purify oneself with the cleansing, antiseptic and beautifying properties of turmeric, it would have been retained in the current bridal makeup routine. 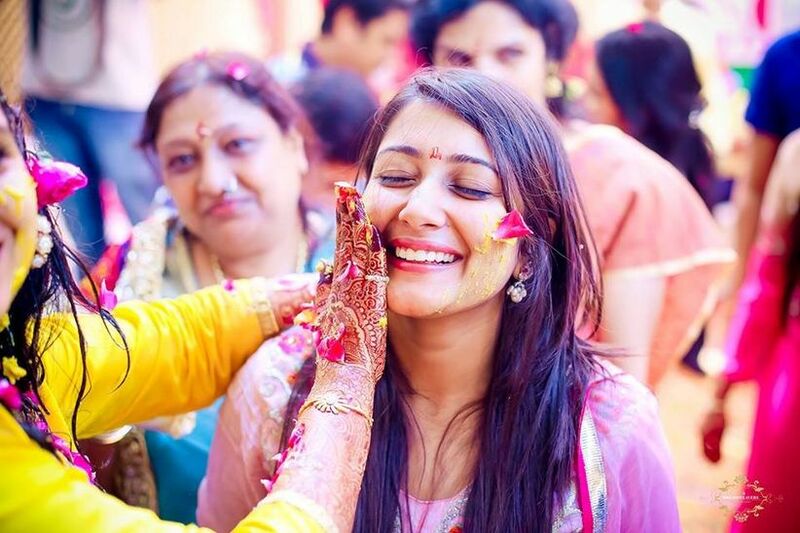 However, applying Haldi, often mixed with sandalwood powder, rose water and/or milk does more than just enhance the complexion of the bride and groom. The ceremony is performed either a day ahead of the wedding or on the day itself. It is, in fact, an opportunity for all friends and family to extend their good wishes and blessings for the happy couple. Haldi is thought to be effective in warding off the evil eye or Buri Nazar. In addition, it's yellow colour is deemed auspicious, a symbol of happiness and prosperity. These days, a Haldi function is held on the same scale as a Mehndi ceremony, with special focus given to Haldi function dresses. (There have been instances when it's been bigger!) Brides, bridesmaids and guests are known to invest in Gota jewellery and floral jewellery for Haldi. Funnily, it's not just the bride and groom who get a dab of the paste. 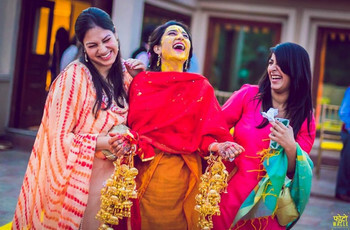 Unmarried men and women also line up for some Haldi fun, as the act is believed to improve their marriage prospects. Everybody looking for a suitable partner or hoping to get hitched soon - make sure you’re present at every Haldi function you can possibly attend! Marriages, in India, are still considered to be the most important occasion in a person’s life. This means that you invite everyone, including the Gods, to invoke their blessings for the special day. We see this as a special prayer ceremony across all Indian communities. 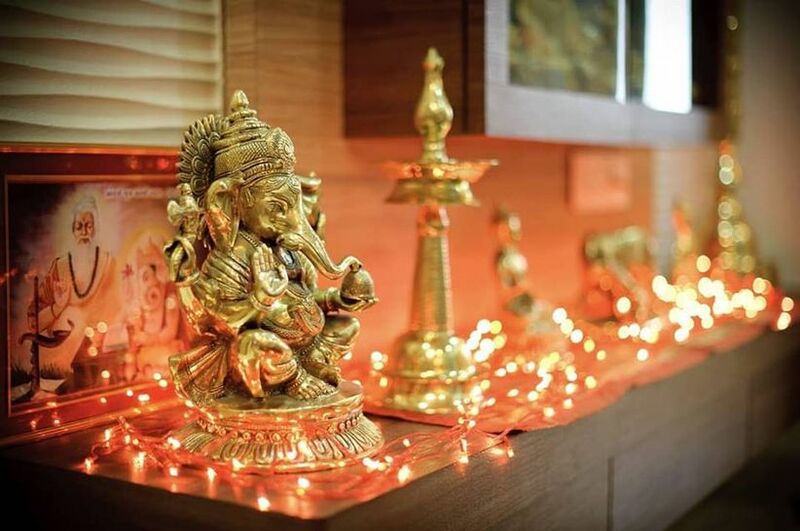 When it comes to Hindu weddings, this includes Pujas for different Gods including Lord Ganesha, Durga, the household deities and more. A Ganesh Puja or a Mata Ki Chowki are usually organised a few days before the wedding. Priests and bhajan singers preside over the function, singing devotional songs and inviting all who have gathered to offer prayers to the gods. The Puja ceremonies do have a more religious feel to them but make no mistake, they’re just as much fun as any other wedding function, complete with music, good vibes and lots of delicious food! A Jaimala ceremony or Varmala ceremony is one of the most well-recognized ceremonies at a wedding. 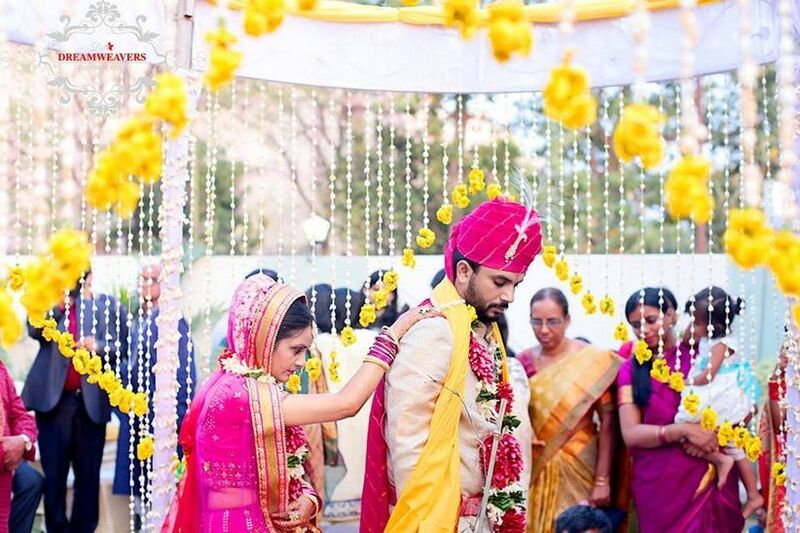 The act of exchanging wedding garlands is an unmistakable sign that a bond has been forged between the couple as well as their families. From the steps involved to the Jaimala design, everything's carefully reviewed by all of your guests. But let’s wind the clock back an hour or two…the groom and guests make a grand wedding entry, likely heralded by loud, upbeat wedding music. These guests, most of whom, continue to dance even after the band has stopped playing, are warmly received by the bride’s side and led inside the venue. Pleasantries are exchanged, refreshments are served and everybody gets a little time to settle in. The tempo rises to a fever pitch for the bride's own grand entry and that's when the fun begins again! Amid special Varmala songs (or not), the duo climbs a special Jaimala stage and then compete to garland each other. Literally! It’s almost a given the bride’s and the groom’s friends are going to turn the simple act of putting a garland around a person’s neck into a challenge. Expect the unexpected…to see the bride, the groom, often both hoisted up and moved around to escape the garland like its some noose! It may take a while at times, but the Jaimalas almost always end up where they’re supposed to! 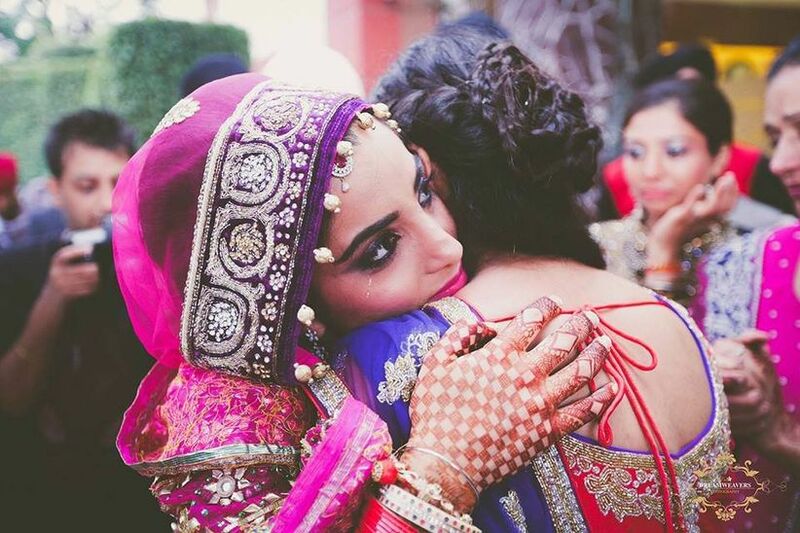 Binding each other, heart and soul - that's the essence to this beautiful and at many times, deeply emotional ceremony. The word Phera literally translates to ‘circling around’. When it comes to Indian weddings, it’s the bride and the groom circling around the holy fire, every revolution signifying a promise, every gesture serving a definite purpose! The number of Pheras performed during the wedding varies with the communities involved. 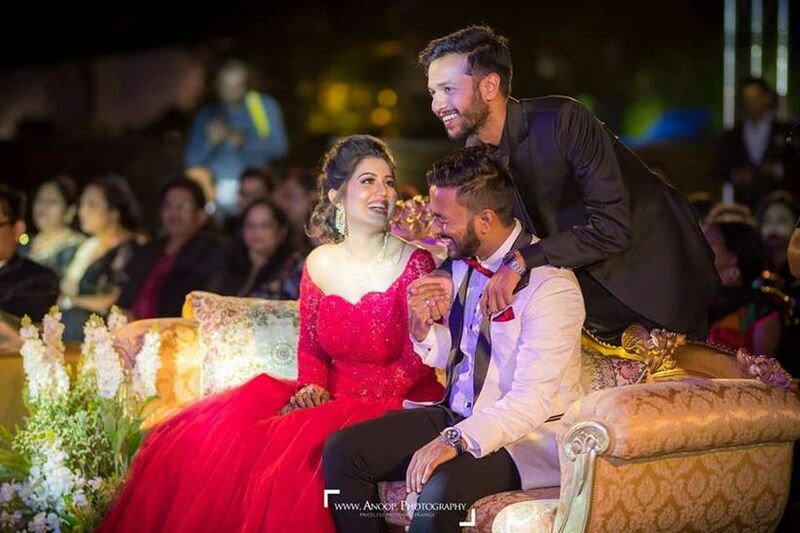 For example, Sikh weddings, Punjabi weddings and Gujarati weddings see only four of the Pheras, while Rajput weddings see all seven to mark the Hindu wedding vows. The four Pheras each stand for a key purpose of life as inscribed in the holy texts. These are Dharma or the cosmic order of all things, Artha or the essence of living, Kama or love (also pertaining to fidelity in the context of the wedding ritual) and Moksha or salvation. The Pheras, also known as the Saptapadi in south Indian wedding rituals are a way for the couple to acknowledge their responsibilities towards their forever partner. 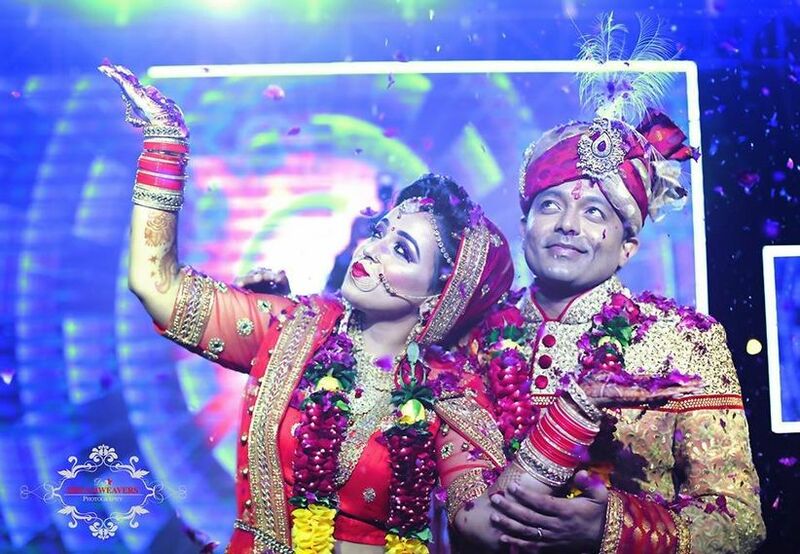 A tearjerker of a ceremony, Bidaai is the act of the bride saying goodbye to her family and friends, as she gets ready to leave with the groom and his side. We live in a time where technology has rendered distances meaningless. 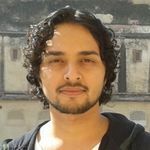 But decades, even centuries ago, Bidaai translated to the bride parting from her parents and loved ones for unspecified durations, at times for life! The poignancy related to the ceremony has mellowed down with time, and yet, the genetic memory, or maybe the echo of all the Bidaai stories we’ve all grown up listening to and watching still turns it into a soul-stirring experience for all. This is one of those heartwarming-melancholy experiences so hard to put into words, impossible to forget! 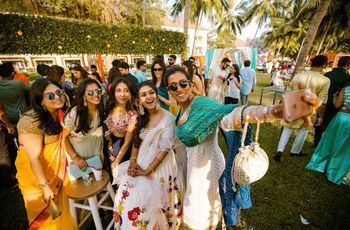 The wedding reception is the final function of the storied Indian weddings, the first public appearance of the new couple and a time for unbridled merrymaking! The reception is usually held a day after the wedding. The groom’s side is in charge of hosting the reception, which basically involves a warm meet-and-greet session, accompanied by awesome food, and, of course, some great music! Wedding functions are like steps leading up to a destination. In our culture, with our people, they’re always a privilege to be part of. Realising and acknowledging what these fun-filled rituals stand for actually enhances the joy of living these merry moments. Have beautiful memories for these wedding functions? Share them with us in the comments below!